Multiple forest-dependent wildlife communities are of current or emerging conservation concern. It is important to demonstrate value of working forest for these species and have data in place to enhance the foundation for forest management decisions and respond to future policy or regulatory proposals. In the eastern US, this includes pollinator and bat communities. Native pollinators such as bumble bees and the monarch butterfly are the subject of increased conservation concern in North America because of potential declines in abundance and purported effects of pesticides, diseases, habitat alteration, and other factors. Staff are working with collaborators to support a study to sample pollinators at multiple sample points distributed across several working forest landscape(s) in the southeastern U.S. Results from this study will strengthen the body of information about the value of working forests for pollinator communities. 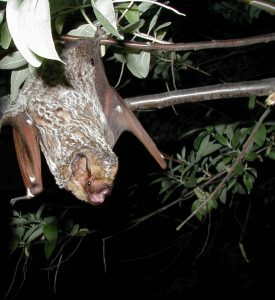 Some forest bat species in the Lower Coastal Plain of the southeastern U.S. are active during much of the winter and, when they hibernate, do so for brief periods in dispersed locations (e.g., trees, culverts, buildings) rather than in caves or mines. Thus, bat populations in Lower Coastal Plain forests may be less severely impacted by white-nose syndrome (WNS) than populations in more northern regions. We are continuing to work with university collaborators to better understand forest bat communities in the southeastern US during winter. Results will improve our understanding of habitat relationships of WNS-affected bat species in working forest landscapes and contributions of these landscapes to conservation. Study results also may have implications for Endangered Species Act listing determinations for WNS-affected species. From time to time, NCASI undertakes technical analyses in a regional context, particularly in cases where member companies would like to analyze the regional implications of applying federal or state/provincial environmental regulatory policy.